Jakarta Population and Civil Registration (Dukcapil) Dept. 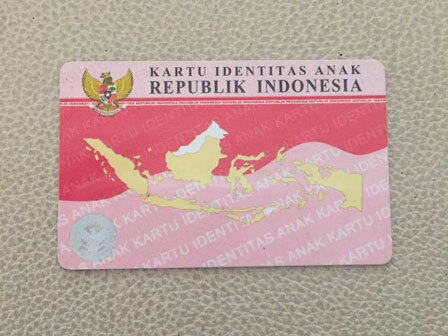 Head, Edison Sianturi stated, his side will add 1 million Children Identity Card (KIA) blanks.
" This year, 30 percent of children in Jakarta are targeted to have KIA"
"This year, 30 percent of children in Jakarta are targeted to have KIA or in other words, we will add one million blanks for one million children," he mentioned, Tuesday (3/20). He explained, blank for this year will be ready in April. During December 2016 to February 2018 periods, his side has distributed more than 29 thousand KIAs for newborn children. His side has collaborated with Education Dept. and RPTRA to socialize it to parents and teachers in order to reach 30 percent target. KIA will be given to newborn baby in 10 cooperated RSUDs and one private hospital which is Budi Kemulyaan RSIA. "For PAUD and kindergarten students who don't have KIA yet can process it in urban village office or Dukcapil Sub-dept. 's booth in sub-district office or Dukcapil Dept. and Sub-dept. 's offices," he informed.